SGS Helps Flint Group Hit a Home Run. The largest international supplier of narrow-web tag and label-printing inks struggles to reverse a three-year trend of declining sales in the Western Hemisphere. 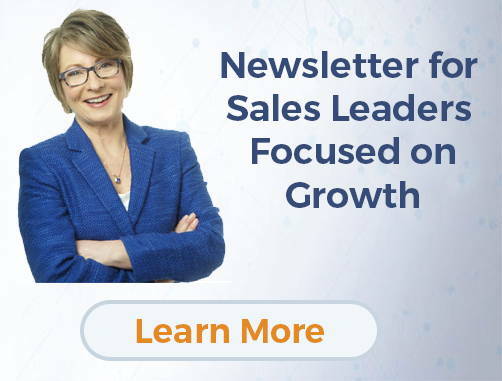 Sales Growth Specialists helps Flint Group’s Vice President of Sales develop a system of sales management processes that change a culture of excuse making into one of personal accountability that generates predictable, sustainable revenue. Market share grows despite an industry recession. Sales management processes yield predictable revenue for more accurate business planning, more efficient operation and higher margins. Faster, organized sales process generates revenue more quickly. New hires reach higher performance levels 30% faster. To unify its sales effort, strengthen its customer focus, and reverse three years of post-merger declining sales, Flint Group consolidated its decentralized U.S. operation. As part of this critical initiative, the largest international supplier of narrow-web tag and label-printing inks for pharmaceuticals and beverages appointed Hank Malone Western Hemisphere Vice President of Sales and Marketing in August 2001. Realizing that he faced a sales turnaround challenge that perhaps his extensive operations background hadn’t quite prepared him for, Hank tapped SGS CEO Danita Bye. Her 20-plus years of sales leadership and sales-management expertise impressed him. I realized that an outside resource with Danita’s expertise would not only provide needed professional assistance, but also a fresh, objective perspective. Hank and Danita developed and implemented “hardball,” a very controlled system based on a baseball theme. Hardball’s features – tracking, follow-up and accountability – keep the game moving. But this disciplined system is tempered by creativity in a compelling visual that analogizes the sales process to a baseball game. Prospecting is the on-deck position, the place to start a pipeline. Twenty actions take an account from on-deck to fourth base. The bi-weekly scouting report is a follow-up process that reviews all accounts in the game – their status, the next action, and the timetable in which it is to be performed – to keep accounts moving around the bases. If an account doesn’t move to the next base in time, it’s out of the game (no excuses), and the salesperson must bring another prospect into the game from their list of draft picks derived from referrals, advertising leads and press manufacturers. Following some initial scepticism and pushback from the sales organization, the team agrees that the new system works. A successful 20-year veteran, who didn’t think his revenue production could improve, was the first to contribute a success story to the monthly sales newsletter that Hank started to support the program. After insisting that he had 95% of the market, this salesperson generated phenomenal growth. So this naysayer, who had the ear of the sales force, actually sowed the seeds of acceptance. But the scoreboard tells the real story. In the first year, when the market reported a two percent decrease, Hank’s group actually grew revenue from new customers by almost 6.5 percent. In 2003, sales grew 7.9 percent despite a down market.